If you believe the Israeli and US pro-Israel media, the new US Secretary of State, John Kerry (right) is “confused” in his new job. What led to the confusion? To those who embrace his negative media coverage, the Secretary forgot the rules. The First Rule of US diplomacy: You do not question the Sacred Israeli Narrative. The Second Rule of US diplomacy: You DO NOT question the Sacred Israeli narrative. At a press conference in Istanbul, Turkey, US Secretary of State John Kerry referred to the deaths of nine Turkish citizens on board the Mavi Marmara in [May] 2010. Kerry responded to a question from Bloomburg’s Nicole Gaouette, who asked him about “the importance of a rapprochement between Turkey and Israel”. Turkey broke diplomatic relations with Israel following the 2010 Mavi Marmara incident in which nine passengers, including one Turkish-American citizen, were killed when Israeli soldiers attacked the Mavi Marmara, a Turkish ship carrying peaceful protesters attempting to reach Gaza to protest Israel’s blockade. Turkey responded by breaking relations with Israel. Kerry connected the deaths aboard the Mavi Marmara with the dead and wounded in last week’s Boston Marathon explosions. Both experiences brought grief and anger to their respective nations. I think Turkey is working in very good faith to get there [i.e., restoring broken relations between Turkey and Israel]. I know it’s an emotional issue with some people [i.e.,Turkey’s decision to break with Israel after the Mavi Marmara deaths]. I particularly say to the families of people who were lost in the incident we understand these tragedies completely and we sympathize with them. And nobody – I mean, I have just been through the week of Boston and I have deep feelings for what happens when you have violence and something happens and you lose people that are near and dear to you. It affects a community, it affects a country. We’re very sensitive to that. Those are the words of a compassionate man making a connection to others. What could possibly be wrong with that? The literalist keepers of the Sacred Israeli Narrative knew what was wrong. The response from Israel was swift. Israel’s Deputy Defense Minister Danny Danon responded by implying the Turkish victims of the Israeli attack were terrorists and that Kerry was confused. It is never helpful when a moral equivalency is made confusing terrorists with their victims,” Danon told The Times of Israel. ”As our American friends were made all too aware once again last week, the only way to deal with the evils of terrorism is to wage an unrelenting war against its perpetrators wherever they may be,” he said. Note the assumed sub-text of the Sacred Israeli Narrative in the Times story: Any protest, any opposition to the state of Israel, is, ipso facto, a “terrorist” action. And since Israel has infected the rest of the Western world with its ideology, the term “terrorist” is now automatically attached to any acts of violence against Israel’s Mother nation, the United States. Beckel and his co-hosts were talking about the Boston bombing suspects, who are Muslim. The general consensus seemed to be that, by probing into their lives and their possible motives for the attacks, members of the media were avoiding the main issue. “We know that In the Muslim communities around the world, they do not like us,” Beckel replied. “They recruit people from poor areas and turn them into terrorists.” He didn’t say how this thesis was connected to the Tsarnaev brothers, who came legally with their family when they were 9 and 16. “I think we really have to consider…that we’re going to have to cut off Muslim students from coming to this country for some period of time so that we can at least absorb what we’ve got, look at what we’ve got and decide whether some of the people here should be sent back home or sent to prison,” he continued. Fox News refers to Beckel as a “liberal”. He used to be. He was national campaign manager for 1984 Democratic presidential candidate Walter Mondale. Meanwhile, outside the bubble of the Sacred Narrative, it is important to keep in mind that in 2010, the Turkish ship, the Mavi Marmara, was on a peaceful protest journey. Not so, of course, from the perspective of the Sacred Israeli Narrative, as the following attacks on Kerry emphasize. 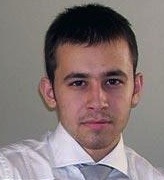 “One of those Turkish citizens was also an American, young Furkan Dogan (left). Perhaps John Kerry read the United Nations Human Rights Council (HRC) report describing his killing as a “summary execution”. Meanwhile the attacks on Kerry from the Sacred Narrative camp, were continued by Barry Rubin, Director of the Global Research in International Affairs (GLORIA) Center. To call Kerry’s statement incredibly ignorant, insulting to Israel, and counterproductive is an understatement. Those killed on the Mavi Marmara were terrorists, aiding a group (Hamas) like those who committed the Boston atrocity. US media outlets, spurred on by political conservatives, continue to search for “terror” motivations in the Boston attacks. In comments reminiscent of Benjamin Netanyahu’s own on 11 September 2001, a senior advisor of the Israeli prime minister has expressed confidence that Israel will benefit from the 15 April Boston Marathon bombing. “I’m pretty bullish about the prospects for strengthening cooperation with the United States. Support for Israel – you all can tell me yourselves – I see polls that show that its almost at record highs… The American people stand firmly with Israel. I think they identify with Israel. Dermer can be heard making the comments in a two and a half-minute video tweeted by Haaretz diplomatic correspondent Barak Ravid. Dermer’s comments are remarkably similar to ones his boss, then Israeli opposition leader, made on 11 September 2001 as the world watched in horror as the Twin Towers came down in New York. Cynical and calculated or not, there is no doubt that purveyors of the Sacred Israeli Narrative are quite effective in finding ways to evangelize their political goals. 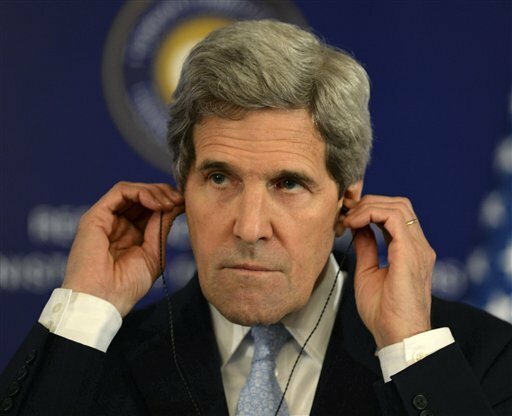 The picture of Secretary of State John Kerry, above, is an Associated Press photo, taken during his recent press conference in Istanbul, Turkey. This entry was posted in Media, Middle East, Middle East Politics, Movies. Bookmark the permalink. Quite right to jump right on this issue. Mr. Kerry was showing compassion not only to people from Boston, but for people from Turkey who lost loved ones by the attack on the Mavi Marmara. “I think Turkey is working in very good faith to get there [i.e., restoring broken relations between Turkey and Israel]. I know it’s an emotional issue with some people [i.e.,Turkey’s decision to break with Israel after the Mavi Marmara deaths]. I particularly say to the families of people who were lost in the incident we understand these tragedies completely and we sympathize with them. My point is that the reason it might be an “emotional issue” with some (Turkish people), is the decision of Turkish leaders to RESTORE broken relations with Israel. That is, they lost family members to Israeli over-reaction. Their people were killed. That is, they might not think the apology from Bibi is enough to be in league with the Jewish State. Maybe they don’t want to restore broken relations! You make it sound like they didn’t want the break with Israel. Jim Wall’s reflection on Secretary of State John Kerry’s statement in Turkey are very helpful, especially since we were out of the country at the time of the Marathon tragedy. And not only out of the country, but virtually out of touch while staying in a “pilgrim hostel” in Jerusalem’s Old City. The reactions to what happened in Boston from friends and new acquaintances was uniformly compassionate and caring. And then came Netanyahu’s bullish expression, sounding almost gleeful. The use of such an expression by the Prime Minister of Israel evokes in me another kind of reference to the same animal! We are now completing our Middle East travels with family visits here in Jordan, where difficult domestic problems (some exacerbated by an enormous influx of yet another wave of refugees) are almost lost in satisfaction with King Abdullah’s sensitive remarks in Washington. Though he is not uniformly liked, he seems to be ready to demonstrate how Arabs and Muslims in the Middle East and in America can play a constructive role in communicating the issues facing Arab nations to U.S. decision makers. Far from expressing glee with insensitive language, Abdullah called for bridge building and global efforts to reach solutions. How different from Israel’s latest efforts to colonize the West Bank by building a “war college” at the doorway to Augusta Victoria Hospital, a historically Christian institution that reaches out to Palestinians in desperate need for first rate cancer care. Great insights, Jim. I like your coining the phrase, “The Book of The Sacred Israeli Narrative”. It fits perfectly. In the immediate aftermath of 9/11, some of Israel’s leaders and pundits expressed joy that “September 11 was the best thing that ever happened to Israel, since its very creation in 1948”. Now with the Boston Marathon tragedy, one can sniff the disguised delight amongst some Israeli leaders and Spin Doctors. They recognize that this American tragedy is a ready-mix which will eek out US support for Israeli Apartheid, Israeli occupation, Israeli pogroms, Israeli piracy in international waters ((Mavi Marmara), and especially an Israeli/American strike on Iran. My take on Secretary of State, Kerry’s, “compassionate” statement in Turkey, was another demonstration as to what extent US policy would stoop in order to serve Israel’s hegemony in the region, through the renewal of Turkish-Israeli political-military-economic relations. It will be interesting to see how the Turkish government reacts to this characterization by Israel of its dead citizens as “terrorists.” Kind of reduces the sweetness of the “apology,” no? As for sharing grief, I will be more impressed if Mr. Kerry ever decides to mention the death of an American citizen on that ship. But given our willingness to overlook the attack on the Liberty, which resulted in scores of deaths and injuries, not to mention an effort to sink the ship, I won’t hold my breath.